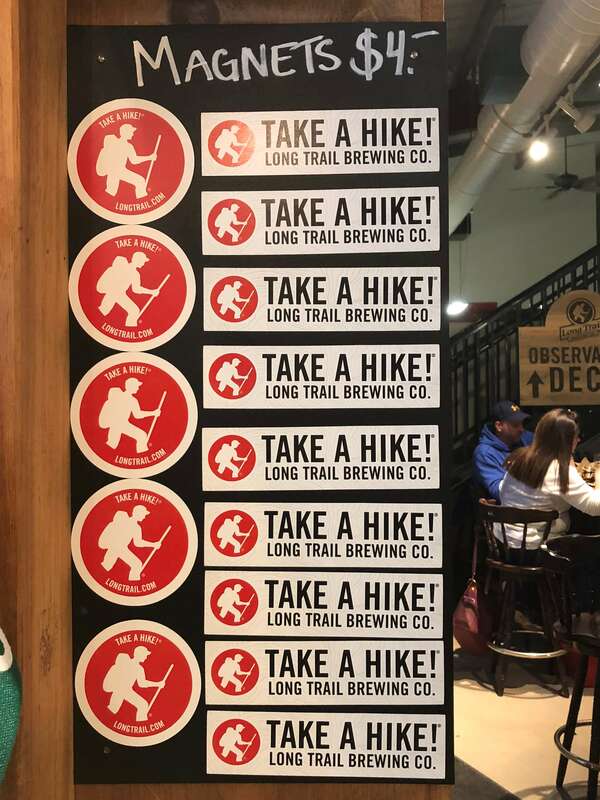 After a fun day at Stratton Mountain and on our way to Killington, our group stopped for some beer and food at Long Trail Brewery. 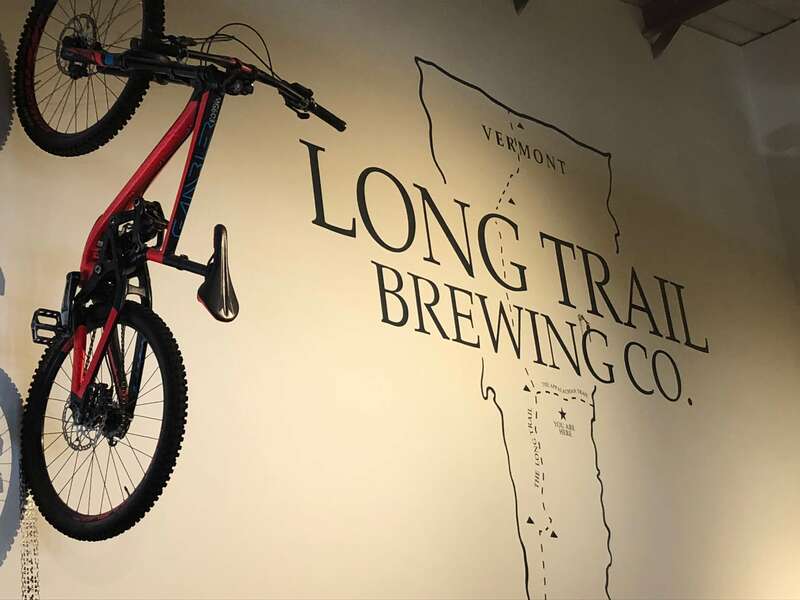 A staple of Vermont craft beer culture since 1989, Long Trail Brewing is renowned for their dedication to the craft with a focus on both small-batch recipes and large-scale staples. 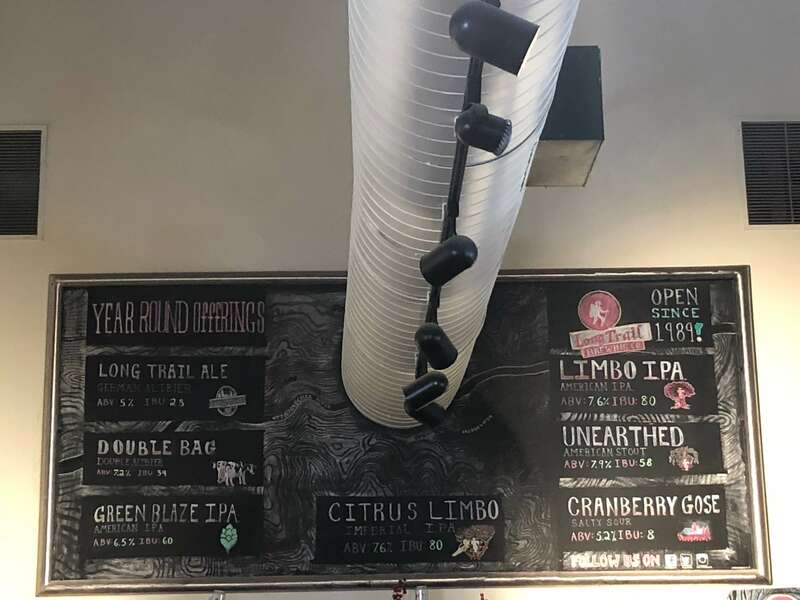 During our visit, our group started with a round of their VT IPA on tap that was an awesome combination of citrus (think: grapefruit and pineapple) as I soaked in the vibes of the tasting room/dining area. This open area was super cozy and welcoming, and, like many of the places we visited, was also very chill and laid-back. A place to hang after you ski (or soon hike), it was also very busy with a parking lot and most of the tables occupied. 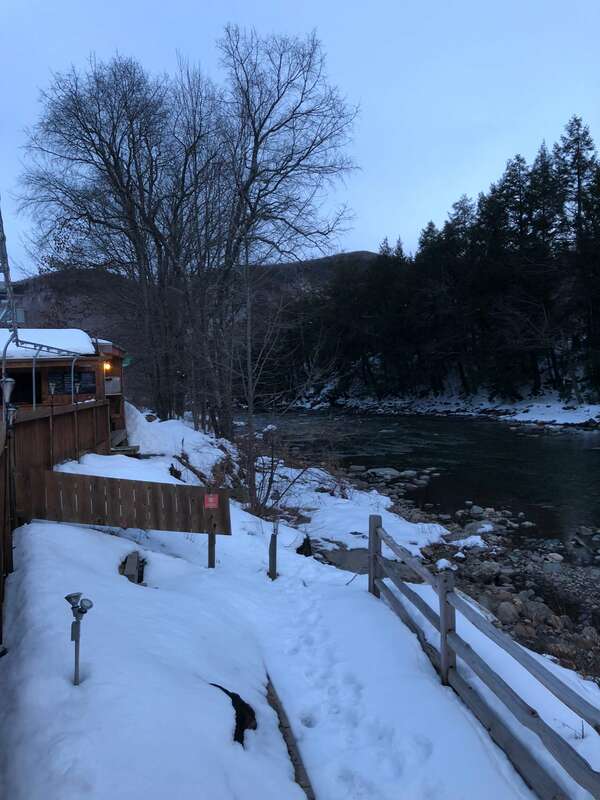 When our table was ready, our group settled into one of their cozy, family-style tables, located right next to an amazing view of the river. We started out with a plate of their Loaded Nachos which were piled up with cheese, pickled jalapenos, red onion, salsa, chili and sour cream. A perfect appetizer for sharing, we dug in and enjoyed it with a sampler of their Unearthed Stout. 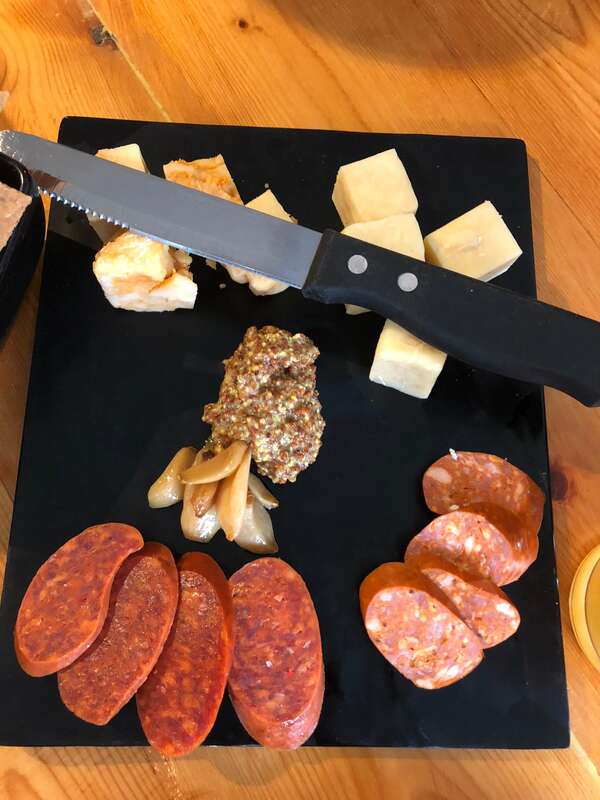 We also tried the Sausage and Cheese Platter, which was an incredible combination of Vermont pepperoni’s, andouille sausage, and a variety of cheese, like jonas, an ale cheese, roasted garlic, mustard, and hearty crackers made from beer. 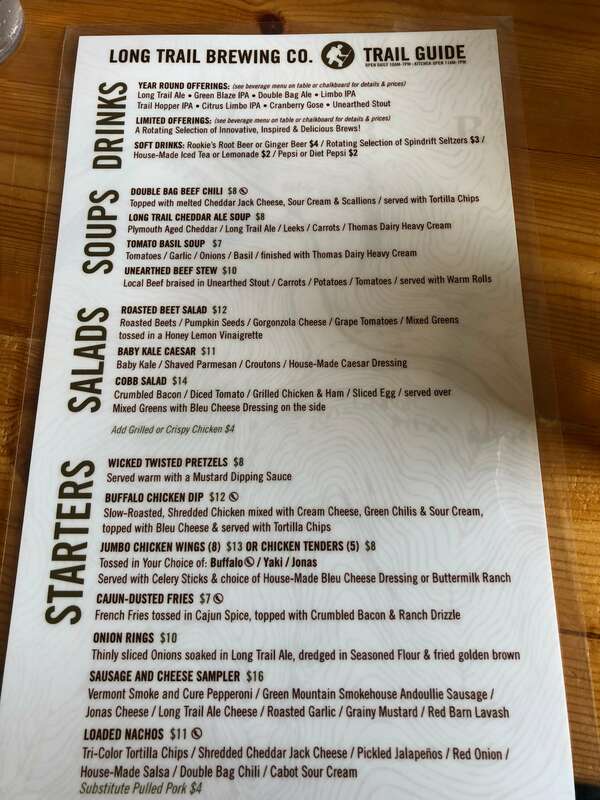 The main menu also offered tons of options, including salads, soups, burgers and sandwiches. 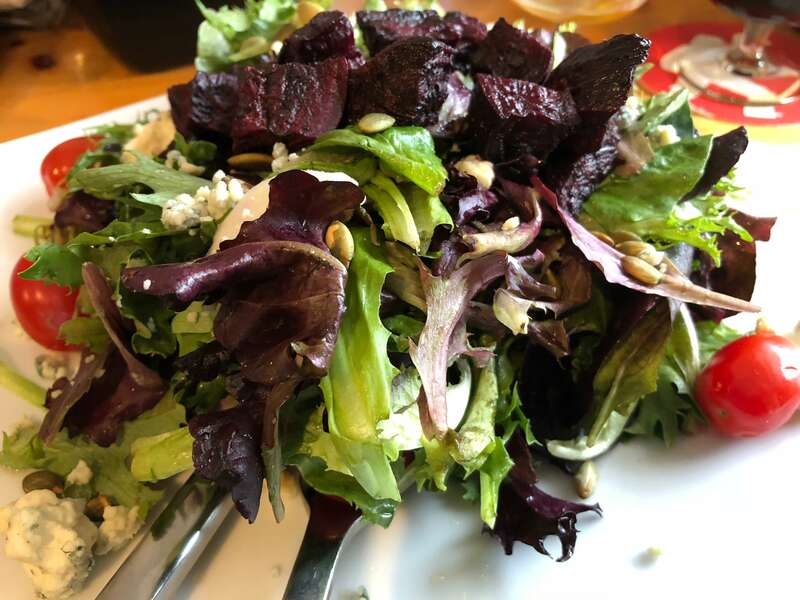 I opted for the Roasted Beet Salad that was a huge platter of mixed greens, beets, pumpkin seeds, and gorgonzola cheese in the most delicious honey lemon vinaigrette. I also had the chance to try the Long Trail Cheddar Ale Soup, a rich combination of cheddar, beer, heavy cream, leeks, and carrots that was comforting and super filing. 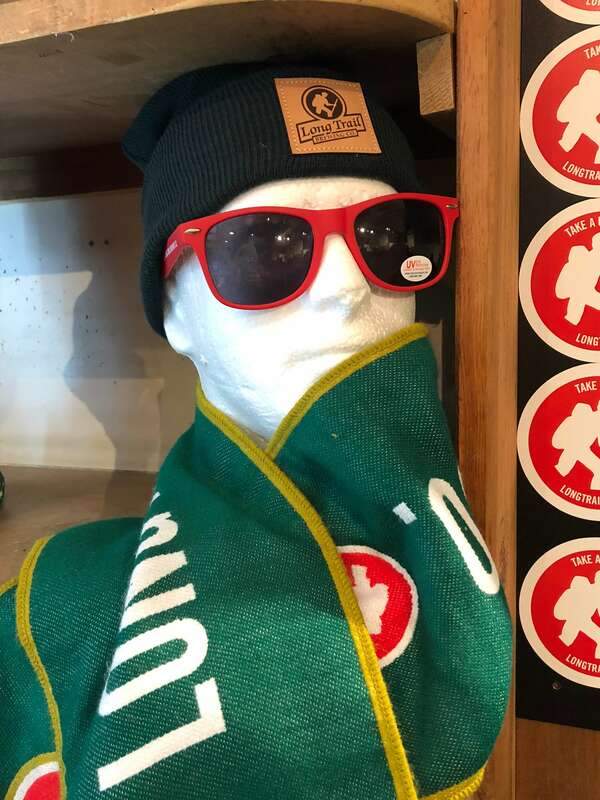 After dinner, we visited their store where you can take home some of the classic brews, along with beer crackers and various merchandise (the scarf is really fun!). 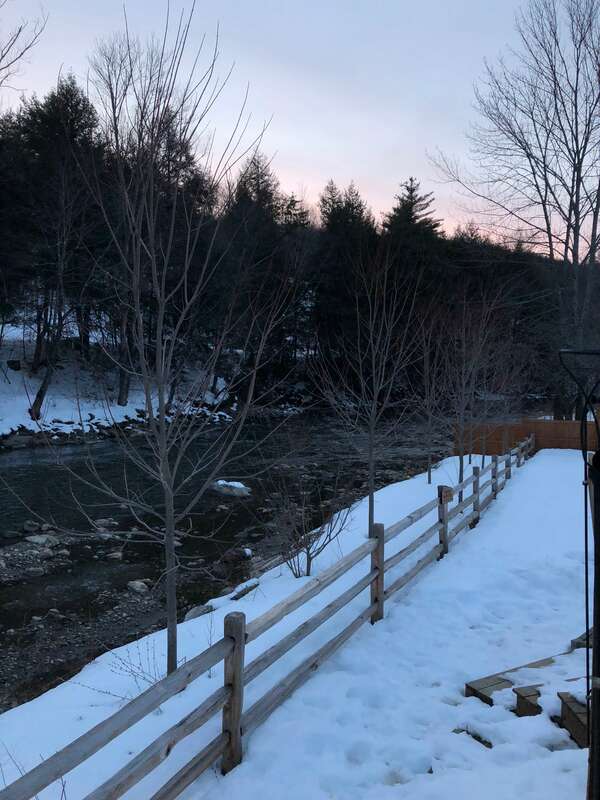 With the warmer weather coming, they will opening up their outdoor seating (the views are stunning!) 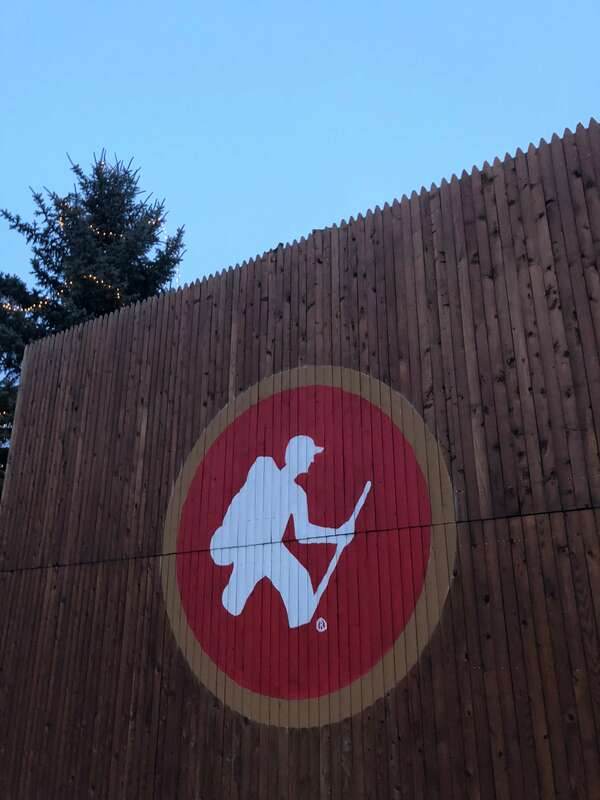 and having tons of cool events like the upcoming IPA Release Party, IPA and Beer Dinner, and the 8th annual Long Trail Century Ride to benefit Vermont Adaptive Ski & Sports, to name a few. 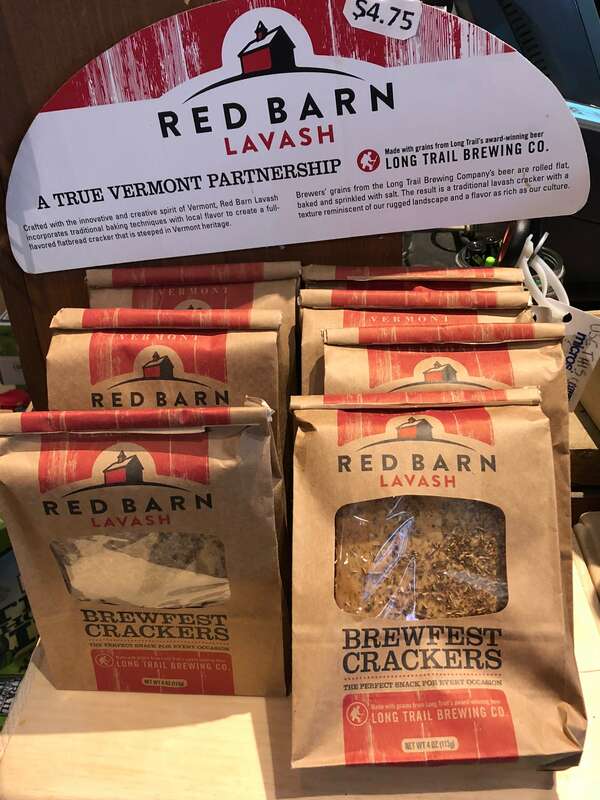 Not in Vermont? 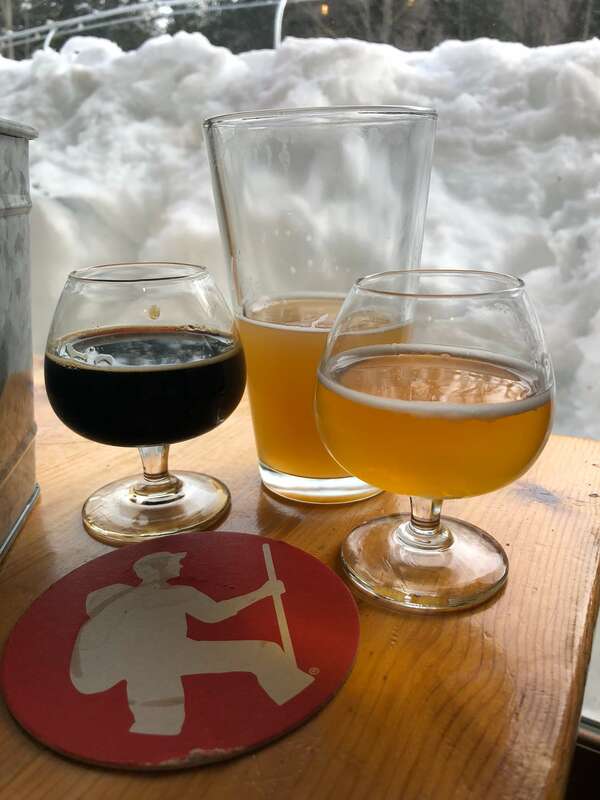 Check out their beer finder page where you can locate some of their brews near you. They also have an extensive beer database so you can better understand how they were made as well as how they taste. I was provided a complimentary meal for the purposes of this review. All opinions, as always, are my own.